Another incredibly popular choice for a conversion van is the GMC Savanna, which was created to transport people and haul cargo of all sizes. StabiliTrak stability control ensures you always stay in control. There also are three engines to choose from, including a V8 with two fuel choices. The standard engine delivers 276 horsepower. The van also has Automatic Grade Braking and Tap-Up/Tap-Down Driver Shift Control. The Ford Transit is still a solid option for conversion vans in 2019. The Ford Transit was actually designed with upfits in mind, making it simple for conversion van companies to customize it to meet a range of needs. The standout features include the available power inverter, high-capacity upfitter switches, and Lane-Keeping Alert with Driver Alert. There are also three powerful engines to choose from, including a diesel. In addition, it offers connectivity and infotainment via SYNC 3. It even features Ford Telematics and Connected Data Services. The conversion van option from Chevrolet is the Express, another auto with a strong reputation. 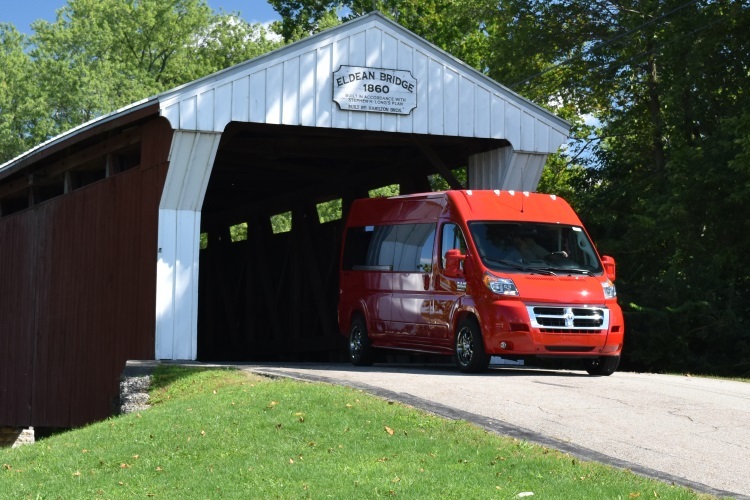 The Chevy Express has a full-frame design with a proven record, lots of cargo room, the latest available technology, and a powerful engine. There is a maximum gross combined weight rating (GCWR) of 16,000 pounds, and the latest versions can also include 4G LTE Wi-Fi. There are regular versions as well as those with extended wheelbases, offering a plethora of conversion options, whether you go with the 2500 Express or the 3500 Express as the base for your conversion. Factor in the safety features, such as forward collision alert, lane departure warning, and side blind zone alert, and you are set. This luxury automaker also makes great vans that are ready for conversions. Both the Mercedes Sprinter and the Metris are excellent choices. 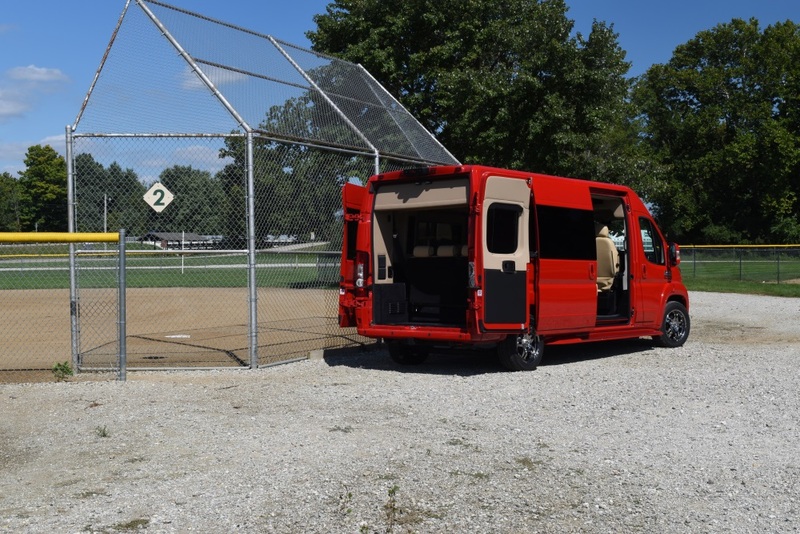 The Sprinter now has the choice of using regular gasoline, is highly customizable, and uses the latest technology. The Sprinter Mercedes-Benz User Experience with a touchscreen will help you stay connected and navigate. It can also include a 360-degree camera, active brake assist, and blind spot assist. The Metris has a similar focus on safety, with standard features that include Crosswind Assist, Attention Assist, and the Load-Adaptive Electronic Stability Program. When it comes to which company’s conversions to drive, you will have a wealth of options available. 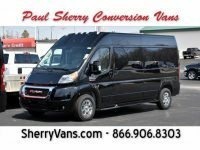 At Paul Sherry Conversion Vans, you can find Sherry vans that our expert team converted to meet your specific needs. Many of our conversions are for passenger vans to seat seven or nine with a range of available high-end features. Our mobility van conversions are also incredibly popular, making it simple to get around in a wheelchair with your choice of interior configuration, ramp style, and more. Explorer Vans focus on giving you the exact features that you want, with the choice of models that fit seven, nine, or 15 passengers. There are dozens of customizable features, so you can get luxurious leather seating, swivel middle chairs, a 29-inch Samsung HDTV with a Blu-ray player, extra sound deadening, and other personalized options. Waldoch conversion vans focus on one of four main styles: luxury, shuttle, limo, and mobility. 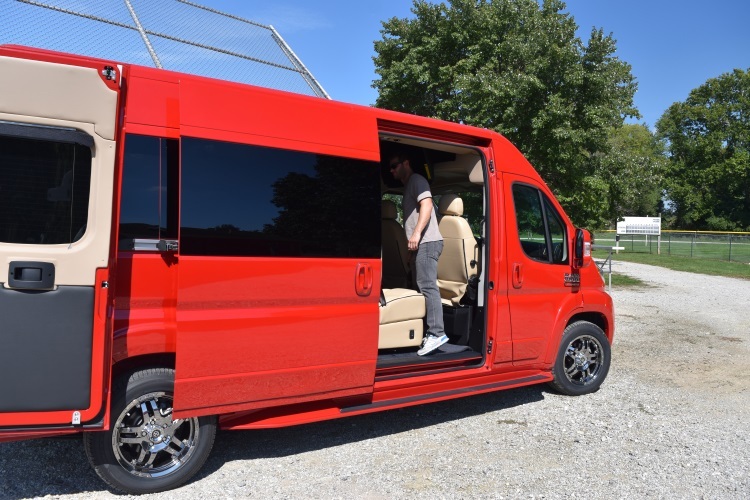 As such, these conversion vans offer something for every need, whether you need an airport shuttle for your hotel, a limo to take business clients around in style, a mobility vehicle so you can easily get in and out with your wheelchair, or just want to upgrade the van to enjoy the utmost luxury. Like the other conversion companies, Waldoch offers models that can accommodate a range of passengers plus extras. 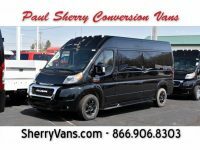 The best way to explore the new conversion vans that are available for 2019 is to browse our new conversion van inventory online or check out the models in person at Paul Sherry.